Welcome to our restored country gentleman’s home nestled in the quiet hamlet of Chestertown in the beautiful Adirondack Mountains of New York State. 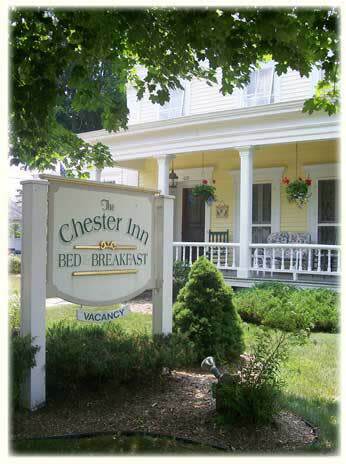 The Chester Inn is a simply elegant completely restored Bed & Breakfast centrally located in Chestertown on 13 acres of gardens and meadows with 4 lakes nearby, Loon Lake, Brant Lake, Schroon Lake and Friends Lake. We are close to area activities and attractions including hiking the Chester Challenge; Lake George; Gore Mountain in North Creek; groomed snowmobile trails and much more. Built in the 1830’s, before the Civil War, as a private residence by Charles Fowler. He was a prosperous merchant and banker from Albany. The historic Fowler family cemetery with its picturesque stone walls, gate and monument still stand on the property. The estate was acquired in the 1880’s by Harry Downs who owned and operated the Chester House (a large Adirondack hotel) on Main Street where the gas station/mini-mart now stands. 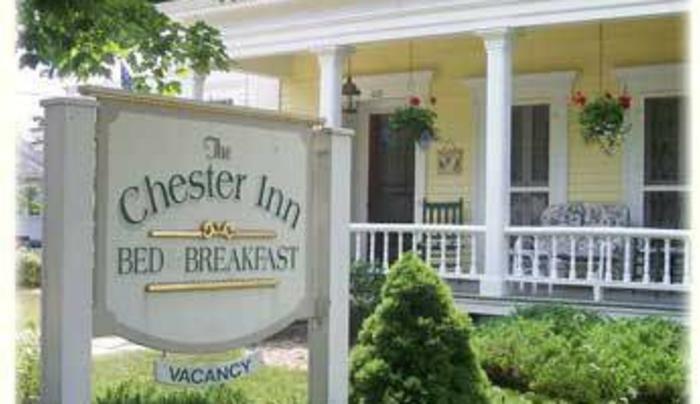 The Chester inn is listed on National Register of Historic Places. Recipient of 2005 Adirondack Architectural Heritage Award.